You must make reservations at least 5 minutes in advance of the time at Mythology Diner. THE CLASSICS VEGANIZED! Casual eatery serving vegan versions of American staples like meatloaf, deli sandwiches & wings. All mains where noted come with your choice of chunky potato wedges fried till crisp and tossed in our house blend of seasoning, creamy coleslaw or daily soup. Upgrade the wedges on any main to loaded chunky cheese wedges for $4! Wild-caught, beer-battered tempeh fillets marinated with lemon and dill. Served with, chunky potato wedges, fried till crisp and tossed in our house blend of seasoning, creamy tartar sauce and a lemon wedge - perfect for squeezing over your daily catch! Our chefs choice of seasonal pancakes are stacked high and served with a scoop of house-made whipped cashew milk butter, pure maple syrup, and crispy soy bacon. Ask you server for this weeks flavour! Weekend Brunch Served Saturdays and Sundays from 10-3 only! Website said they open at 10am. This was wrong. Fairly certain they forgot to punch in our (3 people) order as we waited for an hour for food. Food was fine/good, but not good enough to forget the wait time. Yes they were busy, but others whom had their order taken after ours got food and finished before us. The food was innovative, tasty and tasted good but got cold VERY quickly. Our server was new, apparently no WIFI, no phone number so not too informed. The restaurant doesn’t really meet up to the social media hype. Better vegan elsewhere. Sorry. So glad I decided to have my 56th at Mythology. Both my vegan and non-vegan friends loved the food. Also, the service was great. And when I asked for a change in the music they wasted no time obliging me. Will definitely be back! I had been following Mythology on Instagram. I finally had a chance to try their wings, burger & cobb salad. The food was and is phenomenal. I loved every bite. The ambience and staff are wonderful. I can't wait to return. Mythology is a fabulous restaurant. Congrats on your success!! I'm a massive fan of Mythology Diner for a multitude of reasons. The food is great, the staff is welcoming, the playlists are fire. 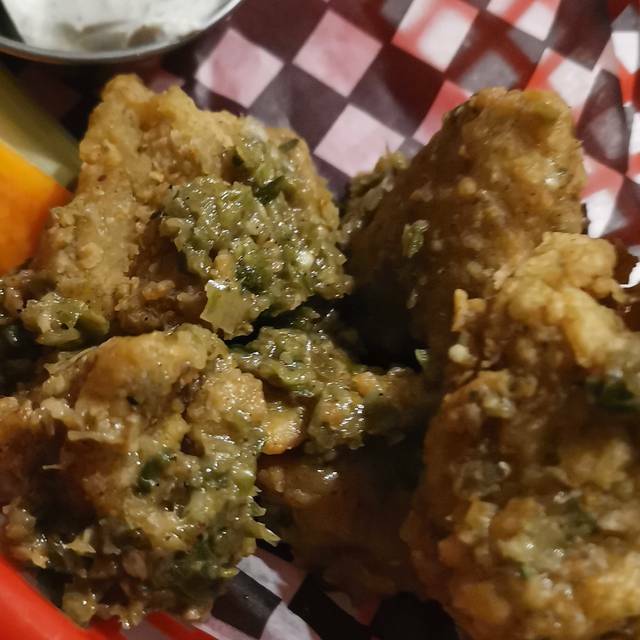 First time at AYCE wing night and the flavours were great. So amazing to be able to enjoy favourites of the past (previous meat-eater), re-created to be vegan friendly. Excellent service - we were celebrating something and the staff went above and beyond to make it special. I made a reservation three days in advance, which was confirmed twice by a text and email. The day of my reservation someone calls me to tell me you are not even open. Then two days after the reservation you send me an email saying I was checked in. And now your sending me to rate your diner. This is ridiculously unprofessional. I enjoyed everything about this place except the musics level of volume. It needed to be more in the background, and less intrusive. Superb dining experience and we will be back. Recommended to everyone. Service was terrific. My Caesar salad was to die for. Great time and excellent food and menu choices. The food was delicious. Plus, it had a great vibe, service, music. Delicious as always. Came with a non-vegan friend who also thoroughly enjoyed. Service was relatively slow (took about 40 minutes to get our food) but the food was good and I'm glad to see great vegan options in the GTA. The wings were amazing and Clay provided great service and cocktail suggestions! After paying and tipping, the waitress insisted we tip her more. Half the time she wasn’t at our table and it took at least 10 minutes until we could place an order. We were displeased with her her business skills. There is an offensive in the restaurant comparing eating meat to slavery. Although the food and service were excellent, I would probably not go back because of the poster which is in extremely poor taste. The service was amazing, the food was incredible. Definitely going again next Monday for their amazing wings! Mythology is a wonderful experience all around. Great service, great food, great ambience! 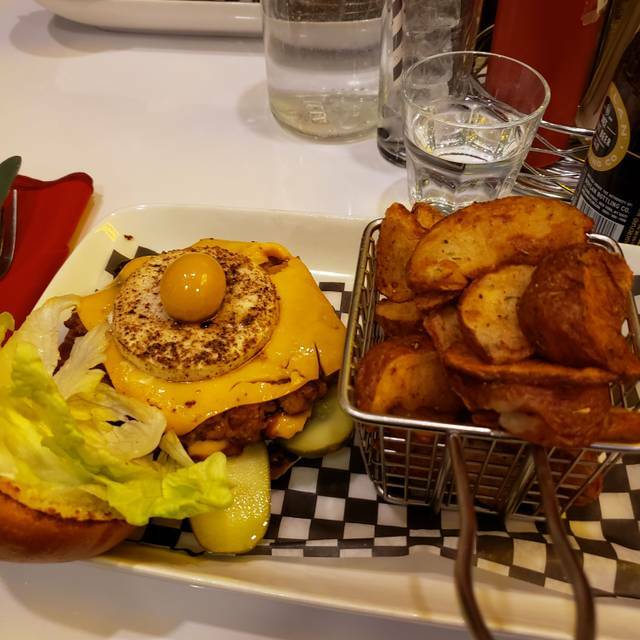 I love the diner feel and it's so nice to have a fully vegan menu to choose from! Always an amazing time. The food is spectacular and the staff are beyond friendly and engaging. all you can eat wings Mondays! and the birthday cake milkshake is to die for. We went on a Sunday night; service was fast and friendly. 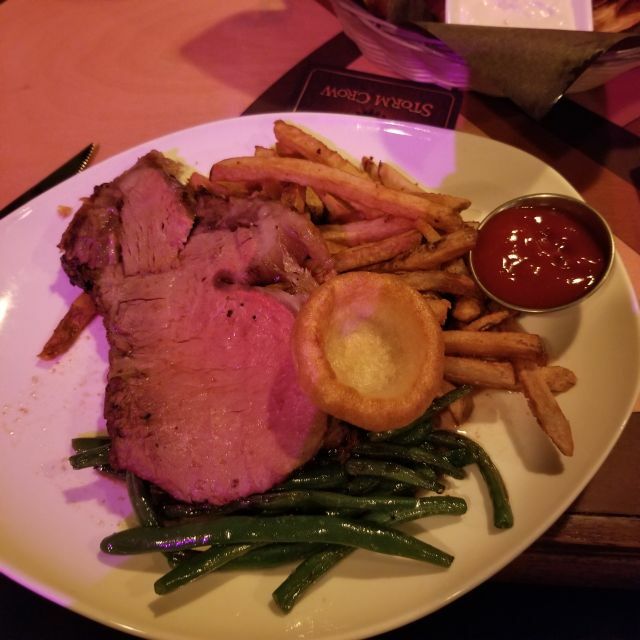 All of the food was fantastic! We really enjoyed everything. The food was unbelievable. I couldn’t believe that everything on that menu was vegan. 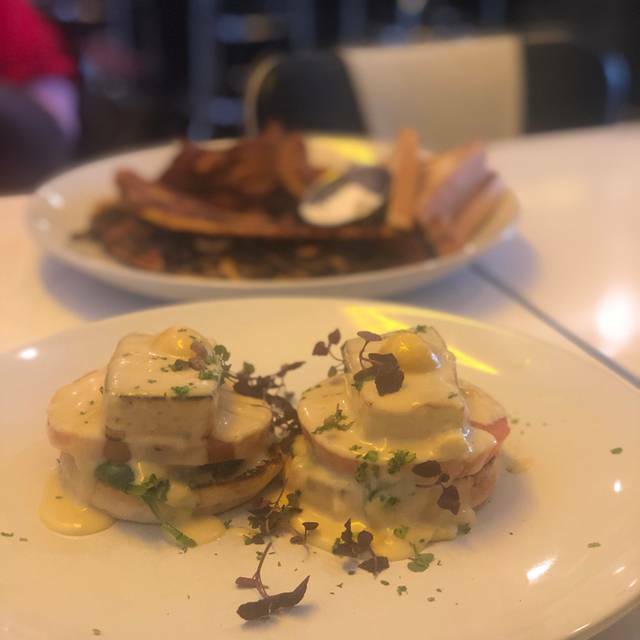 The vegan sunnyside egg and eggs Benedict were ridiculous. It had a nice diner feel and it made me feel happy. I am not vegan, but I am GF, so a friend recommended trying Mythology for brunch. 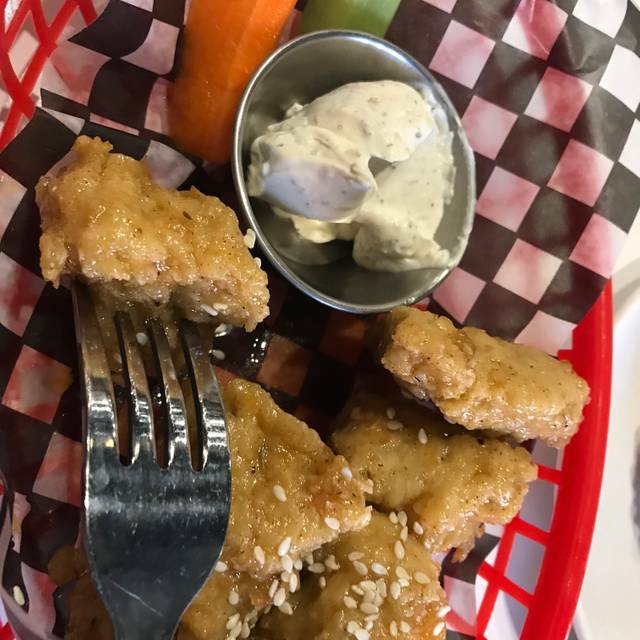 To be honest, my experience at a lot of vegan restaurants in Toronto has not been stellar, but I wouldn't hesitate to recommend this place to any of my friends, vegan or otherwise. 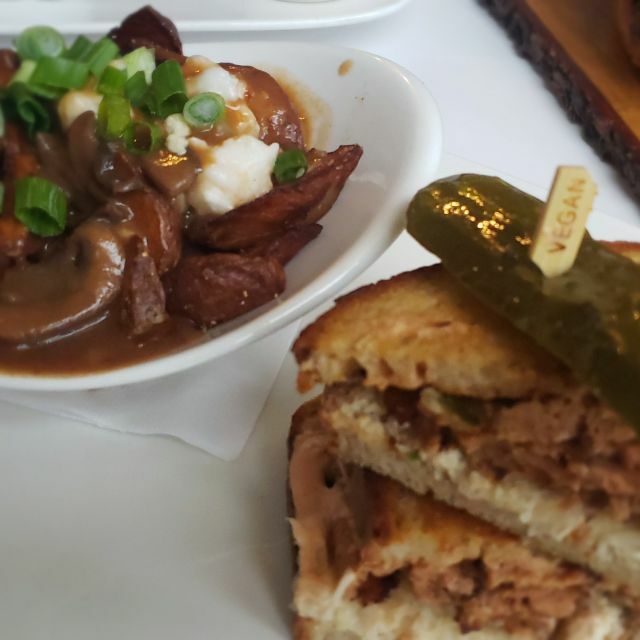 Service was excellent, the atmosphere was friendly and relaxed and every bite was surprisingly flavourful and left me wanting more. Highly recommended. This place is incredible! We had a party of three and we each shared three dishes and an order of wings. By far the best vegan breakfast we have ever had. We are from out of town so sadly, we only got to eat brunch once, I wish I could have the vegan Benedict every morning! We're still in awe of the dinner we had. I have told everyone I know what a great experience it was for my daughter and I. The calamari! That fish filet! O.M.G. ! The drinks were so yum! Our server was really sweet and informative. She was great at not being too intrusive also, which I really appreciated. Just enough that we had what we needed and let us enjoy our meal. Great option for creative vegan food. Wasn’t made aware that I would be charged for the wings I couldn’t finish, which I didn’t think was right just because they were too spicy for me to eat. If this is a policy it should be made super clear when you sit down. An extra buck per wing you don’t eat is a little ridiculous. Was really excited to try this place out but that made me not want to come back. Excellent food! Friendly, efficient, and fast service. This is a fantastic restaurant! Amazing as always! Friendly staff, great food and drinks. 10/10 would recommend. I am never disappointed in whatever I decide to eat at Mythology! Excellent food and lovely waitress. The setting could have been a bit warmer. Why make an online reservation when the restaurant is going to call to confirm anyway? Then when you call back the person on the phone can’t hear you because it’s too loud in the restaurant and the second person she hands the phone over to sounds surprised that you called back to confirm the reservation. At the restaurant our server was singsongy to try to be nice but she seemed like there were too many tables for her to handle. She was a little rushy rushy and it was hard to get her attention. My partner was surprised that I left her a tip but she got our order right and we didn’t have to wait very long for food. The wings were great. I love the BBQ and the buffalo. The garlic parm was really good too. 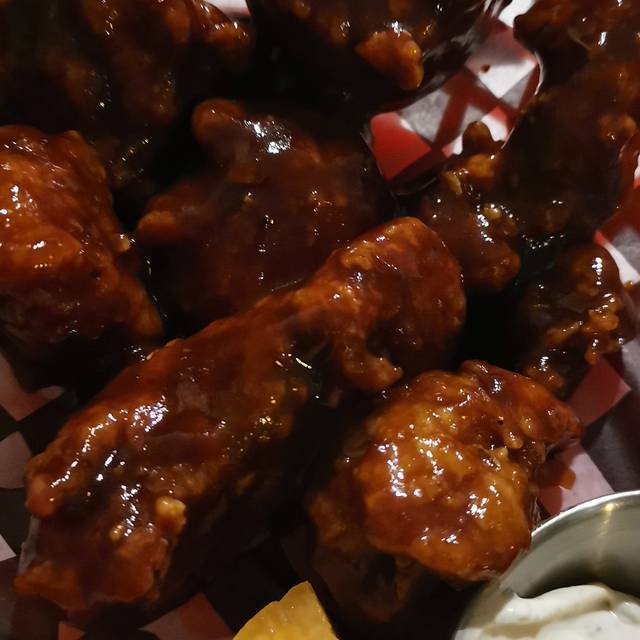 Four of us went for the AYCE wings night on a Monday. The wings were good and I really liked the concept. The service, however, was dismal. There was a distinct air of disinterest and we really felt like we were imposing on the host and the servers by being there. The bartender was good, though. 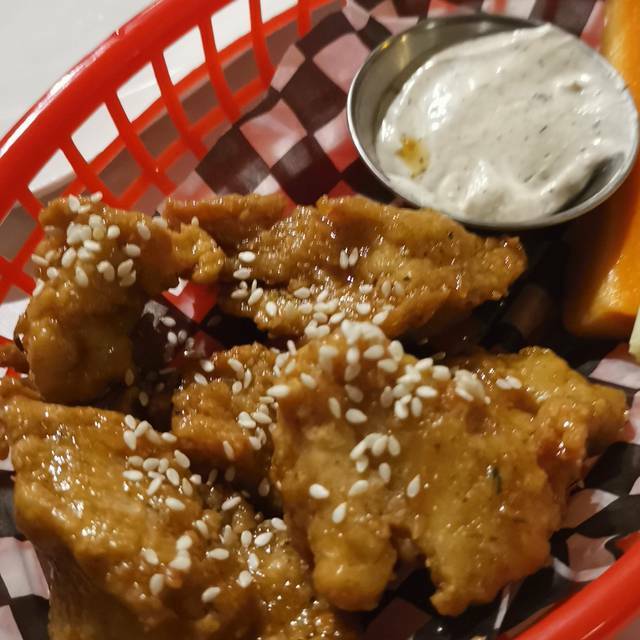 I'd recommend the AYCE night for anyone wanting to try vegan wings in different sauces, because the wings were tasty and I do still think that it's a great idea. But based on the service and vibe in the place, I won't be making plans to go again. Our server was AMAZING. The food is over the top amazing. Like, brunch was AMAZING!!!! Thank you for repping delicious vegan food!!! Overall we had a good experience at Mythology Diner. Most of the food and drinks was really great (a couple things were a miss for me). The decor is lovely. The service was so-so. The girls were really nice but seemed to be a bit disorganized. 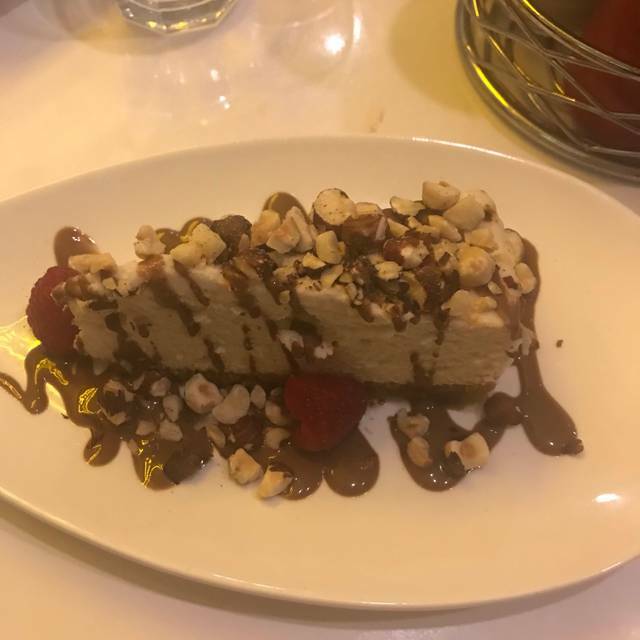 The food was totally awesome, best vegan steak I ever had, the cheesecake was a mind blower. I wish I could live here. Mythology rules! The food was absolutely amazing and the staff were very friendly and welcoming!